Modern Algeria — one of the largest and the most developed countries in Africa, located on the coast of the Mediterranean Sea and covers an area of 2381.7 square kilometers. Until 1962 Algeria was a French colony. Official language is Arabic. 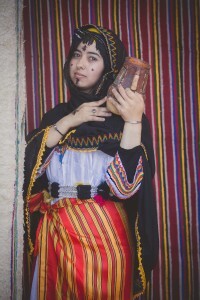 The country occupies the central part of the mountain range of the Atlas and the Sahara desert. Relief Northern Algeria is represented by two major mountain ranges — the Coastal (or Tel-Atlas) and Saharan Atlas and intermountain plains. The highest point is Mount Tahat (3003 meters) in the Ahaggar Highlands. Saharan territory occupied by stony deserts — Hamad and sandy ergs. The river network is poorly developed (the main river is Shelif), most of the rivers are regularly dry. 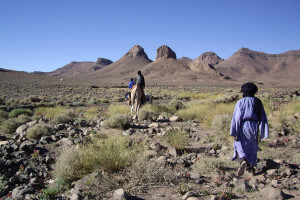 The climate of the Northern Algeria is subtropical Mediterranean. The average January temperature is 5-12° C, in July — 25° C, rainfall up to 1200 mm in the mountains and 200-400 mm in the plains. In the Sahara, much more hotter, and the rainfall is less than 50 mm. The vegetation is typical to the north of Algeria for the Mediterranean: dense thickets of shrubs and small trees (evergreen mastic, wild olive, pistachio, acacia and so on…) Occupy the mountain slopes up to a thousand meters, something which has pine groves. There are thousand meters above from the forest of evergreen oaks (holm and cork), Aleppo pine trees are rare Lebanese cedars now. The flat areas of Northern Algeria occupied by dry steppes. A deserted part of the country is very poor in vegetation and sparse. 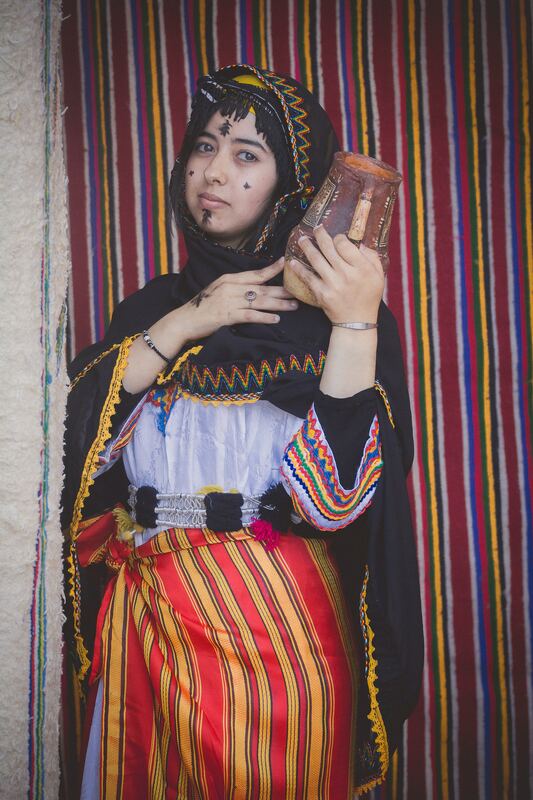 The population (around 27 million people) — Algerians, descendants of the ancient Berbers and Arabs, mostly Muslims. 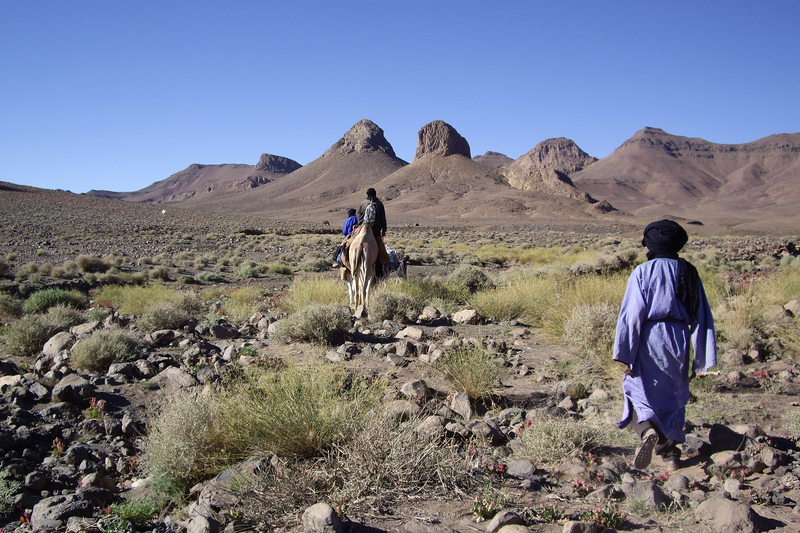 In the north, are dominated the sedentary agricultural population (over 95% of the total), in a deserted part of the residents (including the Berbers) still retain the traditional way, engaged in nomadic cattle breeding. The capital of the country is the ancient city of Algiers, which spreads an amphitheater on the hills near the bay. Most buildings are built of light construction material, which gives the city a festive look. A kind of Arabic Kasbah in the old part of the town with a bizarre mess and narrow streets and one-story houses with flat roofs, slender mosques and other buildings in oriental style. Among them were built mosque in the XVII century , the tomb of Sidd Abdarrahman Jami Mosque and Al-Jadid. Other major cities are Oran, Annaba, Constantine.